Your gift creates a better tomorrow. Helping victims of child abuse is more than just a desire, it is our lifetime commitment. This commitment began when our founders, two young Hollywood actresses, encountered 11 homeless orphans abroad, and all of their lives were forever changed. 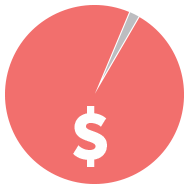 For each dollar expended, Over 92 Cents is invested into serving the children in need of our program services. Through treatment programs like Childhelp Advocacy Centers and Childhelp Group Homes designed to help children already affected by child abuse, and prevention programs like Childhelp Speak Up Be Safe, designed to educate children and aid in prevention, we can help change the lives of many. Over 10 million children have already been impacted by Childhelp. Find your state below to see the impact made in your state so farm then click the link for more information. Rollover your state to see the impact made in your state so far, click on the state for more information. There's still so much work to be done! 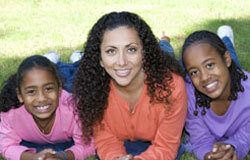 There are many ways you can get involved with Childhelp. However you decide to join in, you can help make a huge impact on a child's life.